- Farm biosecurity: what are your areas of risk? Farm biosecurity: what are your areas of risk? Biosecurity is the planned, methodical approach to securing your farm as safe and disease-free. Whether you are implementing a biosecurity plan for the first time, or re-evaluating the plan you’ve used for years, it is important to identify the risks on your farm, commit to the plan, and ensure everyone on your farm is informed of the proper procedures. Below are a few key areas to keep in mind when developing your biosecurity plan. Anyone entering the turkey barns should wear clean protective coveralls, boots, and a hair net. 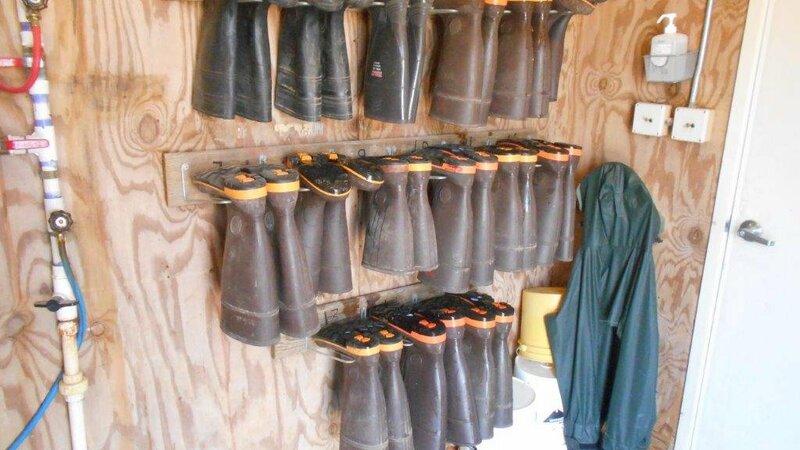 Barns should have a dip pan to sanitize their boots before entry. All dip pans should contain a clean residual disinfectant solution that is changed daily. Or an alternative is to use a dry, chlorine-based disinfectant material. Keep the brooder barn separated from the finisher barn by keeping clean coveralls, boots, and hair nets designated for the brooder facility. This separation should begin once the brooder barn has been cleaned and disinfected. Rodent bait stations need to be checked and the bait refreshed weekly. 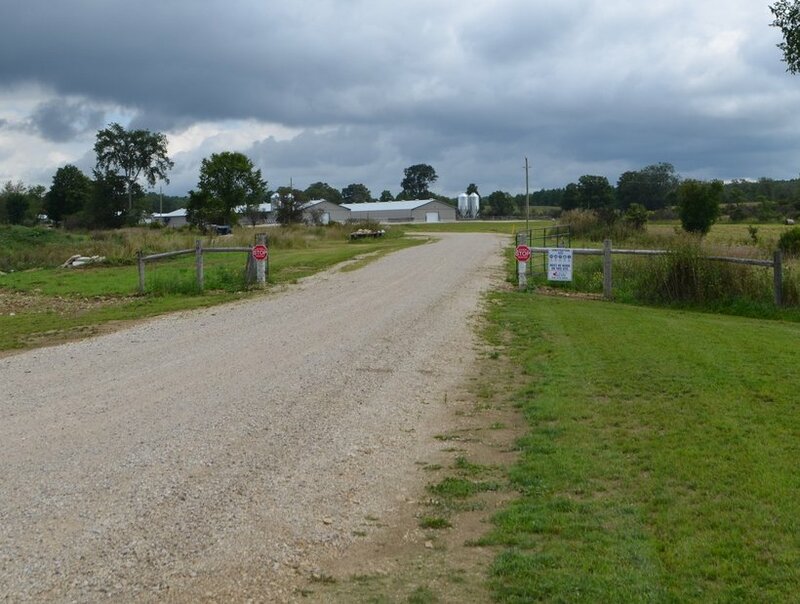 Stations should be placed every 50’ (15 m) around the perimeter of the barn. Rodent bait products should be rotated on a quarterly basis. Keep feed bin areas free of feed residues. Even a small amount is a powerful attractant to wild birds and rodents. Commercial fly baits and traps are a useful tool to control flies. Between flocks, a beetle control program can help with flies. Fly insecticides should be used (follow local regulations). Maintain grass at a maximum height of 3” (8 cm) within 30’ (10 m) of all turkey barns and composters at all times. A weed/grass-free area should be maintained with 24” (60 cm) of all barns. Keep all garbage and unnecessary items away from the turkey barns. All barns should be bird-proofed. Limit contact around fields and ponds that are frequented by water fowl. Wild fowl hunting activities should be separated from activities around the turkey operation. All mortality should be removed and disposed of daily. Birds in the flock should not have access to carcasses. After disposing of mortality, use proper precautions before returning to the barn. All used poultry litter should be stored (and covered) in accordance with farm conservation and nutrient management practices. 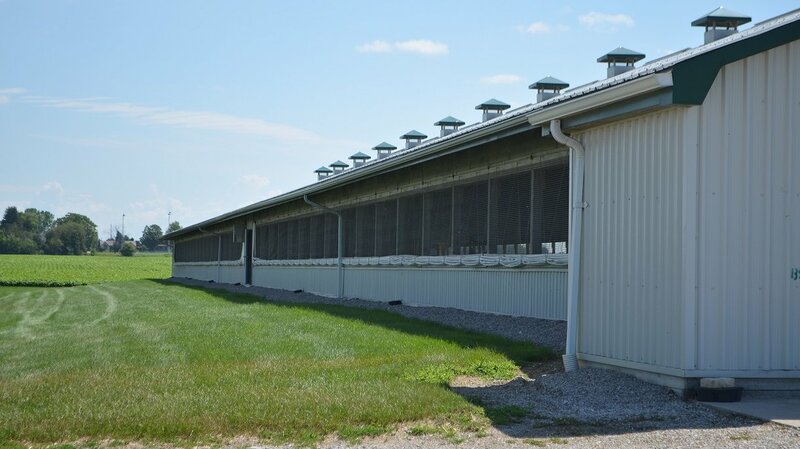 It should be a minimum 100’ (30 m) away from turkey barns or removed from the farm completely. 21 days of downtime between flocks is recommended to minimize or eliminate potential pathogens. Equipment and/or tools should not be shared between farms unless absolutely necessary. Every farm should be equipped with dedicated small tools. 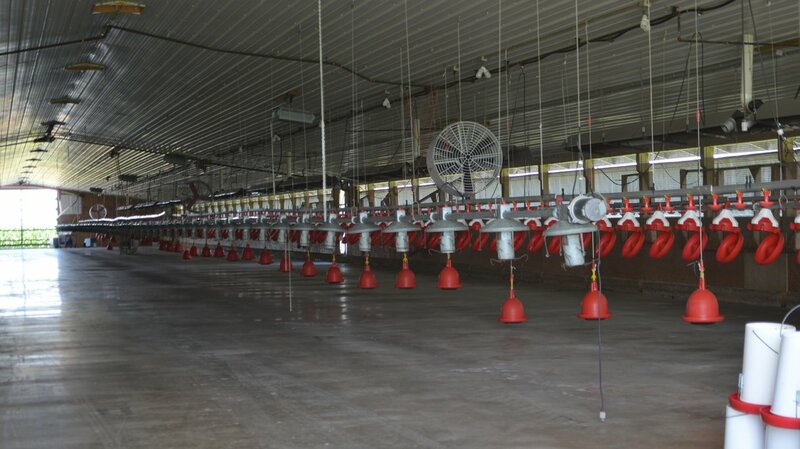 All equipment should be thoroughly cleaned and disinfected prior to entering and exiting the farm.